Cattle graze on cheatgrass to create a firebreak at the base of the Owyhee Mountains. 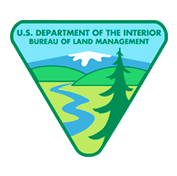 BOISE – The Bureau of Land Management has begun implementing an experimental targeted grazing project aimed at reducing fuels and associated fire risk and protecting rehabilitation efforts within the Soda Fire zone. 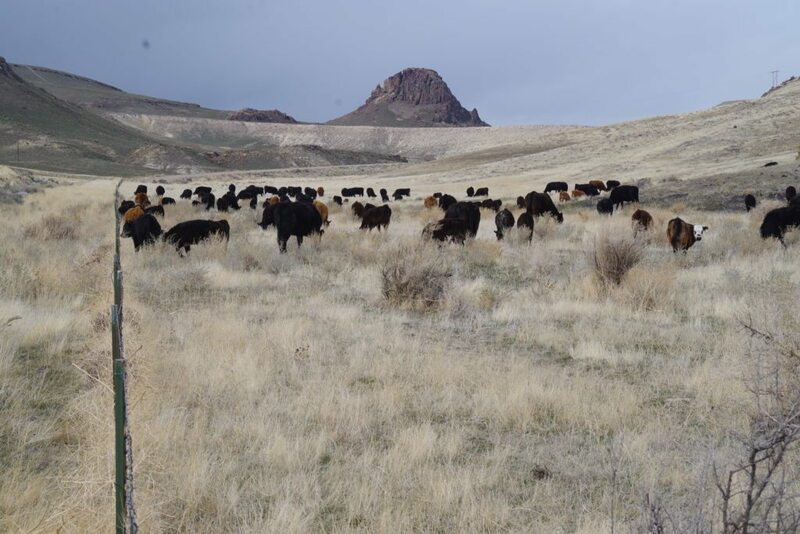 Participating local ranchers will be grazing livestock along 36 miles of Owyhee Front roadways from approximately Marsing to Murphy from now through June. This targeted grazing effort is part of the larger Soda Fuel Breaks project designed to reduce fuels, specifically annual grasses such as cheatgrass. The purpose of this is provide firefighters a better opportunity to prevent wildfires from burning a landscape that is still recovering three years after the 443-square-mile wildfire. The Idaho Rangeland Resources Commission (IRRC) is partnering with the BLM to raise awareness of the targeted grazing efforts with both the local community and visiting recreational users who may see livestock on roads. IRRC officials have contacted off-road vehicle recreation groups to give them a heads-up that cattle will be grazing along the Owyhee Front this spring as part of the experimental project. The BLM has posted road signs in the project area to inform and educate recreation users and the general public about the project. The goal of this targeted grazing project is to reduce vegetation to a height of 2 inches or less for 200 feet on both sides of the selected roads by late June, prior to peak fire season. Should a fire come through the area later, flame lengths will be greatly reduced, making fire suppression much safer and more effective. For more information, contact Lance Okeson, Acting Owyhee Field Manager Lance Okeson at (208) 896-5913.